Printable crafts are very quick to prepare which makes them a good standby for group activities or those 'I'm bored' moments. I have a folder at home in which I keep some preprinted activites ready to pull out at short notice - and they've saved the day on many occasions! Keep a variety so that you can cater for any age of child. Craft and colouring activity in one - we have hats, houses, cakes and much more for you to decorate! We have finger puppets on all sorts of topics, ready to cut out and assemble so that the kids can tell their own stories. Many of these can also be adapted easily to make stand-up characters. Paper dolls are always great for imaginative play. They are so easy to print out in advance and have ready for a bored moment, or perhaps a car journey or rainy day on holiday. 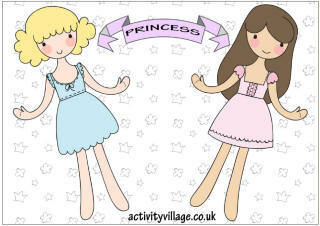 We have a range of paper dolls to suit all ages from toddler up. We have mobiles on all sorts of themes to print, cut and assemble. Some of our mobiles are for colouring in, too. Use these free scrapbook paper designs for scrapbook albums, kids crafts, making gift boxes and bags, or as small pieces of wrapping paper for odds and ends and matching gift tags. 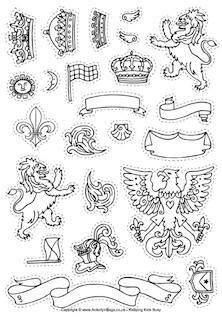 You can use these templates for scrapbook projects, drawing practice, stencils, printing, card making and many other creative crafts with your kids. A fun collection of printable crafts for the festive season, involving lots of rolling, cutting, sticking, dressing, colouring, and hanging - amongst other things! Print out these pretty Easter craft printables and then cut and fold them to make Easter baskets, egg holders, table decorations and more. This simple printable craft is quick, addictive and very effective. The candy canes look good enough to eat! Hang them on the tree or use them to decorate Christmas presents. 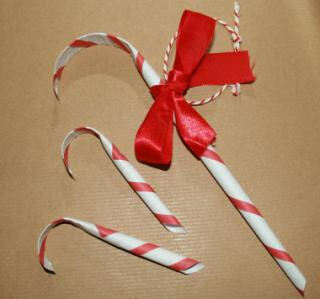 You could even use them in a Christmas treasure hunt - writing clues inside before your roll the candy canes up! Make your own pretty Christmas basket, perfect for making your own gift (you could put chocolates or small presents inside) or as a festive decoration. Print onto some card, cut out and fold along the lines, then glue the tabs to stick together. Use our Christmas bauble decorations printable to make these quick and easy Christmas tree decorations. They work with children of all ages (older children can do really pretty, intricate designs) and make an excellent group activity, too. Be sure to date and sign! Print, colour, cut out and assemble this fun Christmas mobile, which includes a Christmas Tree, Father Christmas and other familiar Christmas things! These lovely Christmas cubes look cute placed underneath a mini Christmas tree or on a mantlepiece! Print onto some card, cut out, then fold along the lines. Glue along the tabs then construct your cube! We have two versions to choose from below: colour, or black and white. Colour in this set of Christmas decorations! If you print the page onto card and then cut them out, you could always hang the decorations on your own tree. Alternatively, how about cutting a tree out of green construction paper and pinning it up on the classroom wall. Available part-coloured in red, green and blue, these lovely Christmas ornaments can be used as a cutting and sticking or sorting activity. Best printed onto card. 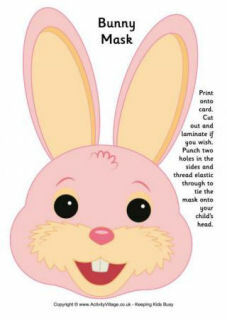 They are also fun for children to colour in and embellish, especially if you have some silver or gold pens or glitter! This craft printable makes a Christmas decoration with a difference! Print onto some card, cut out and fold along the lines and glue the tabs to make two pyramids. Now join the two pyramids together to make a fantastic diamond. Here's a print, colour and cut out mobile featuring the story of the Christmas Nativity. Instructions are on the mobile. You could use this Christmas ornament frame for a writing project, but it also makes a perfect frame for a little picture and some colouring in. A line of these would look very cute strung up in the classroom! Paper chains are one of the simplest but prettiest homemade decorations to make at Christmas! There are 6 designs in this pack, and you can choose from our coloured printable or black and white version (so you can colour them yourself). Here's a fun Christmas decoration to try making with the kids. Print onto white card then cut out all the pieces including the two spirals. Everyone loves a gingerbread house at Christmas and now you can make your own craft version! 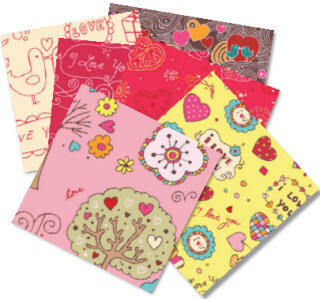 Print onto some card, cut out and fold along the lines. Glue along the tabs to make the house, then fold and glue the roof to the back. Every year the kids make a few new Christmas decorations and for some reason most years there always seems to be a theme – totally unintentional – this year they seem to be all about making standing 3D decorations. This is such a simple craft idea, but your youngest children will enjoy cutting out the shapes and sticking the features on this owl, and love the way the owl looks at you as he stands on display! Print, colour, cut out and assemble this cute printable Christmas angel for children. Make your own Russian dolls, also known as matryoshka or babushka dolls, with this printable children's craft. We have a pre-coloured version or a set that the kids can colour in themselves. Print and make our Santa Door Hanger to make sure that Santa stops at the right place this year! We've got 4 different versions to choose from, depending on whether you feel like colouring in and cutting and sticking - or you just want something to put up quickly! Print, cut out and add a little glitter before attaching a loop of ribbon and hanging to the tree. You could stick two together back to back with the ribbon glued between them if you like, or perhaps the kids could sign the back and add a little picture of their own and the date? Print, cut out, glue and hang this very cute Snowman Mobile - there are 8 different cheerful snowmen to entertain you as they drift in the breeze!